I'm delighted to have collaborated with True Rocks Jewelry in London to produce this beautiful solid silver, Diver UP pendant. She's solid 925 Silver, 25mm tall and weighs 10 grams. If you wish to pre-order this pendent now please get in touch with me. Approximate retail cost will be €225 (+-). Photography, ephemeral for only that quick moment of creation. But join us for a long lasting touch.... SPiN Art Residency at Pikes Hotel in Ibiza. Beast of Burden. The meaning is essentially any animal that has been "domesticated" by humans and trained to carry or pull heavy loads, such as oxen, horses, camels, elephants, etc. But who is the real beast? Who is burdening who? And who has lost the collective consciousness between animals? Humans. We are riding these animals to death in our "advancement" of ruling this planet, yet we have unconnected ourselves spiritually from the same animals that have help propel our civilization. More on my site. And more to come. ©Victor Spinelli Art. The Decisive Moment. This photograph honestly reflects this phrase by the late great photographer, Henri Cartier-Bresson. 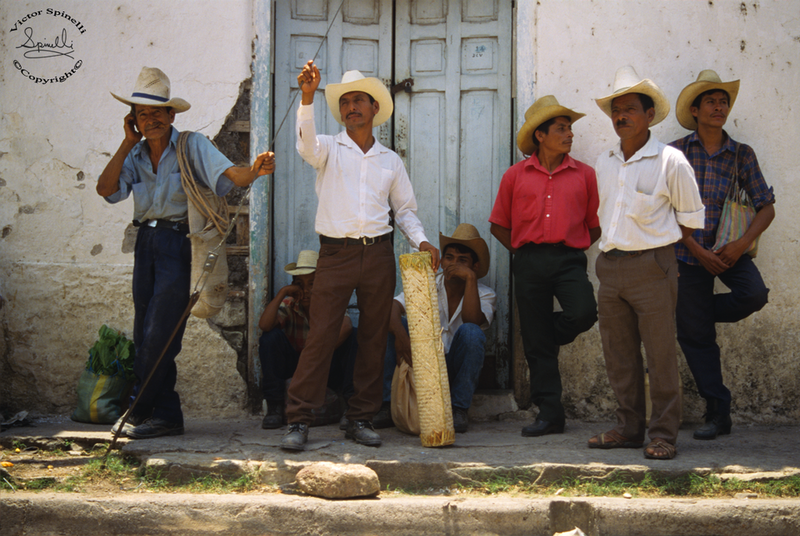 As a aspiring amature photographer I took this shot of farm workers, on a backpacking trip in Copan, Honduras in 1994. Walking, focusing and adjusting my F-stop at the same time without missing a beat. One shot. One moment. The true essence of capturing light.